Offering an Ultra-High native contrast of 3000:1 on a VA panel, the GW2470ML/HL series add astonishing colour depth and definition to darkened complex images with the greatest subtlety and clarity. The VA panel also brings truly authentic colours and ultra-sharp details from every angle, displaying content clearly with a wide-viewing angle of 178o/178o. The GW2470ML/HL series also utilises our special flicker-free technology, which eliminates screen flickering at all brightness levels and effectively reduces eye fatigue. Conventional LCD screens flicker at up to 200 times per second - this may not be perceivable to the naked eye, but long term exposure to a flickering display can cause discomfort during use. Low Blue Light Plus technology from BenQ serves to filter out shorter, higher energy blue-violet radiation (420-455nm), which is harmful to the eyes, while the remaining beneficial blue turquoise light (455-480nm) remains. 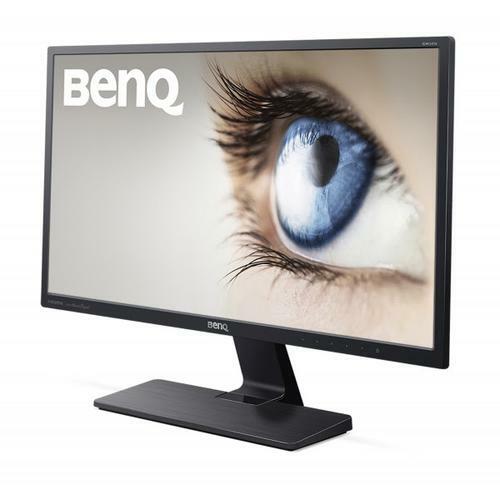 The blue spectrum light produced by regular computer screens is a leading cause of eye fatigue, and the BenQ GW2470ML/HL series comes equipped to actively prevent the eye fatigue associated with blue spectrum light, by offering 4 levels of adjustable Low Blue Light, designed to increase your viewing comfort, especially after long hours of usage. The latest HDMI high-speed multimedia interface makes these monitors incredibly convenient to use, allowing users to enjoy digital entertainment effortlessly. In addition, the monitors come with built in speakers to enhance your audio-visual experience.